From Cape Town driving on the N2 , cross the White Bridge, drive along the edge of the lagoon until the third set of traffic lights. Continue along the Main road past the Total Garage and take the next road left. This is Short street. Then take the second road to the left which is Agnar Street. The cottage is at No 23. 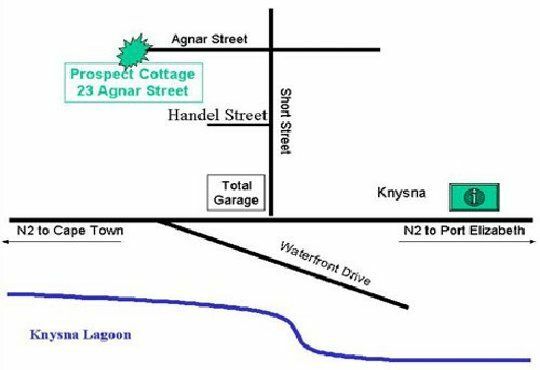 From Port Elizabeth Drive straight through the village and after the BP Garage take the second street right (Short Street). Then the second street left, Agnar St and the house is No 23. Check in times are strictly between 2 and 6 pm.